Learn to make classic curry pastes from scratch – we will make some traditional and not so traditional curries in this class. Book your friends or clients into our Private Exclusive Restaurant. Looking for a unique venue to host a Wagga Gold Cup luncheon or dinner? A whisky tasting of storytelling and single malts. When you sip on whisky, you are tasting a piece of history from 500 years. We will taste single malts while discussing the joy and history of whisky, with everyone invited to tell their stories. Fans of the blog Local Lovely and podcast My Open Kitchen are in for a treat as author, journalist and photographer Sophie Hansen joins us for a special demonstration class to launch her new cookbook, A Basket by the Door. Nothing beats wandering through the souks of Morocco. Autumn is a wonderful time for preserving. Learn how to bottle the best of the season with Alex Elliott-Howery from Sydney’s Cornersmith. A delicious combination of recipes from around the globe with this modern contemporary Asian menu. Take a journey down the Mekong and learn to cook regional dishes from Hanoi to Ho Chi Min City. From Cambodia to Thailand to Burma – these curries will take you on a global culinary adventure. Mogul (Classic) cooking of North India and regional Indian cooking are part of tonight’s class. French cooking is all about layering flavours, mastering basic techniques, and savoring every bite. Our chef will take you through the traditional and modern techniques of French cuisine. Duck and Pinot is a match made in food and wine heaven. Our skilled chef will take the mystery out of preparing duck and teach you the foundations to cook restaurant quality duck at home. This authentic Salami workshop is hands on in the art of salami making. An exceptional cultural experience, these workshops are aimed at first time makers and novices or those wishing to perfect their skills. Book your group into our Private Exclusive Restaurant. 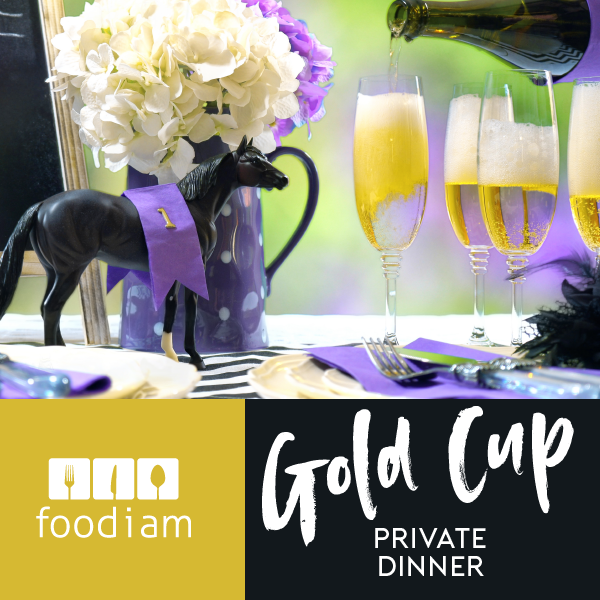 Looking for a unique venue to host a Wagga Gold Cup luncheon or dinner? Our venue is perfect...enjoy drinks on the deck overlooking the region & dine in the open kitchen with your private chef.